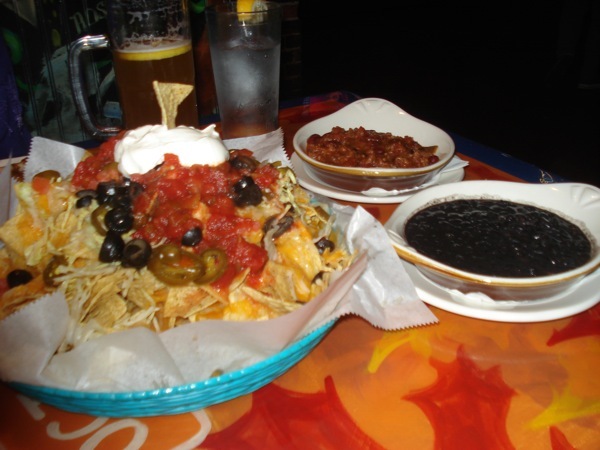 Nacho Patrol prides itself on never leading its readers and loyal fans astray. 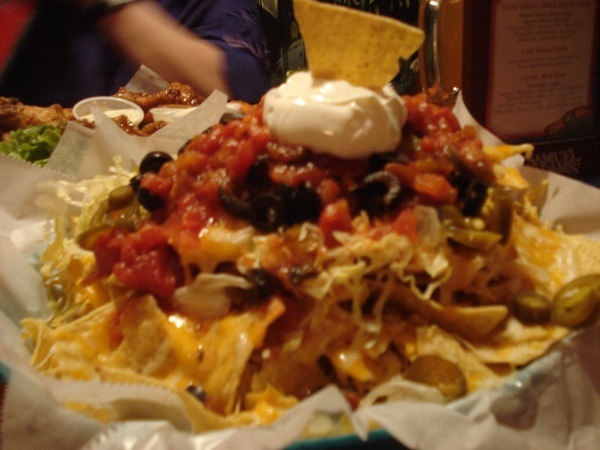 The thought of promoting a bad plate of nachos breaks the clogged arteries where our hearts used to be. But at the same time, we’re admitted sissies…for over a year we’ve been too scared to go back to Pour House because we didn’t want to risk our review of the #1 nachos in Boston. What if they weren’t that good? What if they’d raised the price? What if the cheese wasn’t as melty, the chili not as spicy, the chips not as crunchy? Our top tier nacho spank-bank contributor would be ravished! Rather than take that chance, we’ve gone fifteen months without monitoring the situation at Pour House. But now, bolstered by Spring Break and myriad naughty thoughts about Joe Mauer, we were ready to make our triumphant return to Pour House. However, there was one small problem: we’re giant failures. That’s right. They got our order wrong (failure #2). We’ll take the blame for compounding the problem by simply ordering a bowl of chili and a bowl of beans to dump on top. By the time the ingredients were assembled, the cheese was stiff and the chips were soggy. Distribution was a problem and by the end we had ourselves a mess of sour cream and floppy, naked chips. Now that’s just depressing. Nacho Patrol can be accused of bias: maybe we want these nachos to be the best so we ignore the failings. Then again, we’re a team of optimists. We see the best in a plate of nachos and we recognize the potential for greatness. The moral of the story is this: when you go to Pour House (and you should. Often.) do what you have to do to get the Nachos Grande. Make sure that crazy waiter hears you. Keep your ID’s out and ready for action if you want a beer. Maybe bring a trumpet-style hearing aid if your hearing is at all compromised. But whatever you do, GET EXCITED: for the moment, these are the best nachos in Boston! ← Anchovies: Vive Los Italia Nachos!